The future you want. The financial tools you need. 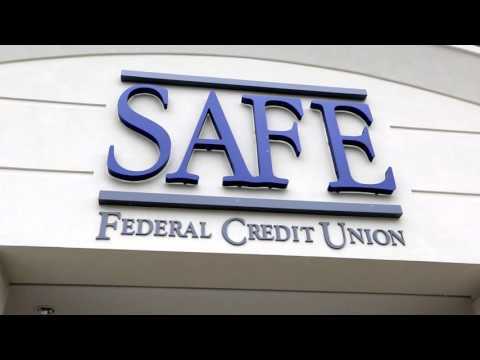 SAFE Federal Credit Union’s diverse investment, savings, and loan programs connect people in the Midlands with the financial opportunities they need to get ahead and stay ahead. Explore the range of options available for members below. Convenient, affordable, secure. Bank smart with SAFE. Our federally insured checking and savings accounts are easy to open and can earn you interest over time. Savvy investors go the SAFE route, saving for retirement and accumulating wealth with our flexible money market accounts, low-risk share certificates, and varied IRA options. Spend SAFE with our Rewards and Low Rate Visa programs, offering data chip security, zero liability protection, and no annual fees. Available now at a minimum credit line of $500. Flexible, low-rate terms for mortgages, auto loans, and personal loans, with packages tailor-made to suit your financial objectives. Life is full of big decisions. When it comes to making important choices, cutting corners is definitely something you don’t want to do.